Two time winners of the Universities, Polytechnics and Colleges (UPAC) Basketball Championship Accra Technical University (ATU) earlier today delivered a splendid performance to progress to the quarterfinals of Ghana's biggest tertiary basketball competition. ATU sealed top spot in Zone 6 games played before its fans thanks to big wins over Methodist University College and Kings University College. ATU beat Kings 32-13 in the opening game before delivering a 53-11 win over Methodist. Making their respective debuts in the competition, Methodist and Kings were overwhelmed by the sheer brilliance of ATU. As such, ATU had an easy run into the knockout phase in the sixth edition of UPAC. ATU will compete in the quarterfinals on April 11 and 12 against fellow zone winners including 2017 Silver medalist Marshalls University College, Takoradi Technical University and Koforidua Technical University. The semifinal games and final game are to be played on April 13 in Accra. 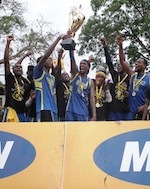 ATU has aimed for the title to tie bitter rival University of Ghana (UG)'s title count (3). 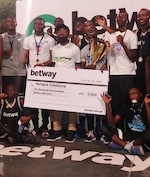 The Tudu based institution is also aiming to end a run of final defeats after losing in the 2016 and 2018 finals. This year's UPAC Championship is the sixth edition.